It’s reached that time of year where the thought of another sausage roll is giving us the shivers and the mince pies are finally making minced meat out of us. It’s not a time of year to watch the waist line and alcohol is certainly no exception. But, fortunately, some drinks can be low calorie or even packed with vitamins and minerals… so you can switch up your drinking routine between Christmas and New Year and feel much better about yourself. We’ve rounded up a few ideas for ideas to try and even some recipes to match – so you can be full of merriment, and not guilt! 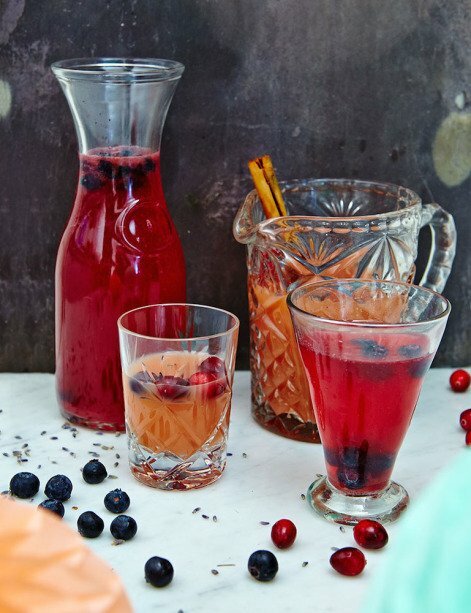 Whilst you might be looking for sweetness around this time of year, many syrups are packed full of sugar and the fructose in lots of juices can be calorific too. Be careful to choose fresh juices where possible too, to ensure maximum vitamins! Healthy foodies Jasmine and Melissa Hemsley are all about fresh, un processed ingredients. And this cocktail with zero refined sugar is a serious treat. Wash the blueberries thoroughly. Pulse them with the honey and lavender in a food processor or blender with 250 ml water to make a lavender infused syrup. Strain the syrup into a jug using a fine sieve or piece of cheesecloth, making sure you squeeze all the goodness from the blueberry-lavender pulp. Add the coconut water, lime and vodka and stir thoroughly. When ready to serve, add the frozen blueberries. 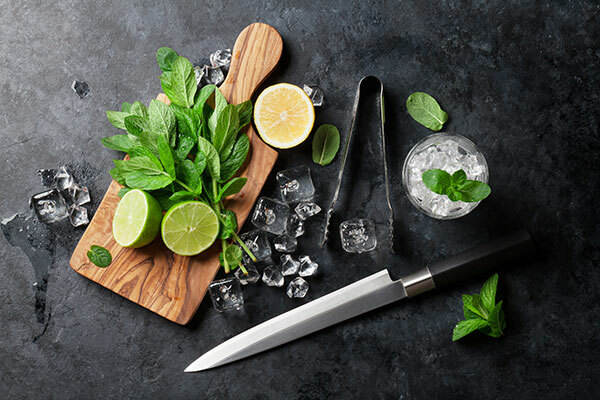 A spirit that has been pre-flavoured will often have been infused and so the flavours are imparted without the need for artificial additives. These can be a great base for lower calorie cocktails since your mixers can be much less flavour-heavy. In fact, some people even just use soda water. This sharps and delicious Pink Grapefruit Spritz from Belvedere is packed with aromas, not calories. And if you would rather keep it even lower, just use all sparkling water and no tonic. Combine all ingredients in Belvedere Spritz Glass over ice. 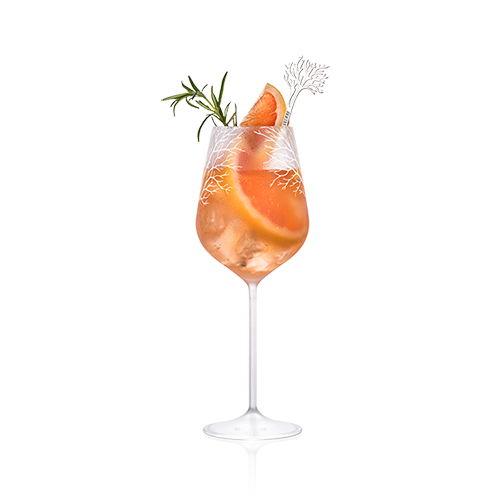 Garnish with wedges of pink grapefruit and sprigs of fresh rosemary. 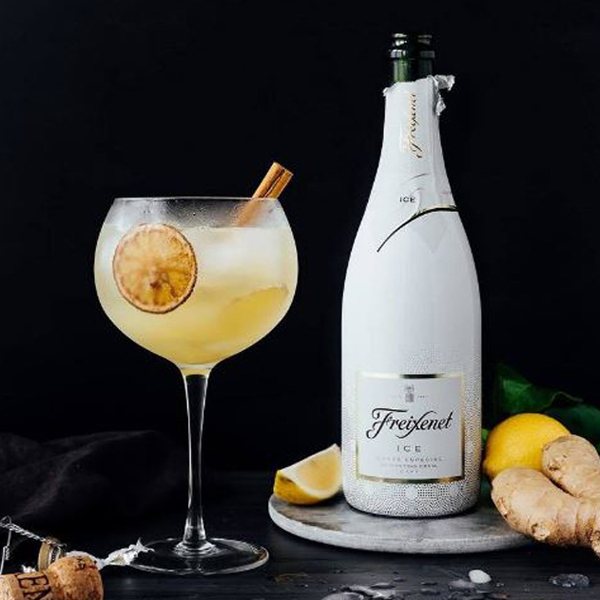 This lightly spiced number from Freixenet is packed with lemon and ginger practically tastes healthy! And because there is some sweetness in the wine, there’s no need to add anything calorific – just sparkling yumminess.